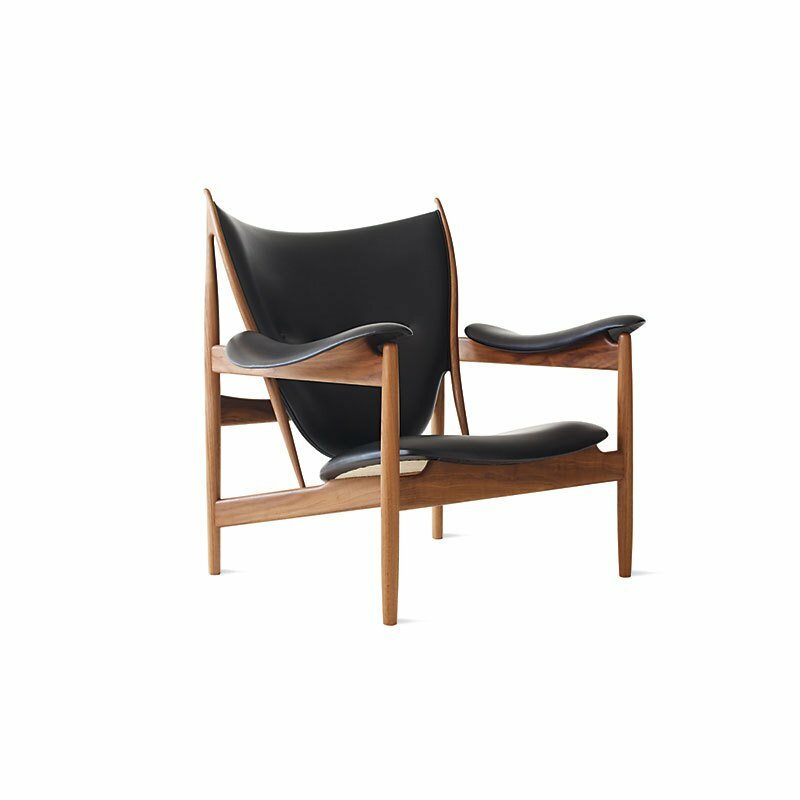 Designed by Finn Juhl in 1949, the Chieftain Chair is now an icon of Danish furniture art. Comprised of a sculptural teak and walnut frame with luxe leather upholstery, the chair was inspired by primitive weaponry, as is evidenced in the chair’s distinctive shapes. Designed for the Cabinetmaker’s Guild in Copenhagen in 1949, King Frederick IX sat in the chair, giving the chair the nickname, "King’s Chair" by a journalist. Juhl insisted that the chair be named "Chieftain" instead, as it was less pretentious. The chair is known for presenting a pivot in the direction of Danish furniture design, and remains one of the most celebrated furnishings to come out of the Danish Modern Movement. The chair is both elaborate and streamlined, and exudes grandeur and sophistication.